Philip Adams is the Director of Arkansas PROMISE, a five-year, $35 million federal grant to the University of Arkansas and the Arkansas Department of Education. Services provided through PROMISE include paid work experiences, intensive case management, employment training and support for youth and families, benefits counseling, and health and wellness education. Families also participate in financial literacy workshops that focus on asset building, financial planning and financial management. Adams was recently honored by the Association on Higher Education and Disability for his work to promote social justice for people with disabilities in their communities. 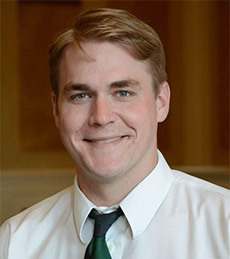 Adams formerly worked as an organic farmer in Nashville, TN and as special assistant for agency and legislative affairs in Arkansas Governor Mike Beebe’s office. He earned a bachelor’s degree in Spanish from Hendrix College in Conway, Arkansas, and lives with his wife and daughter in Springdale.